The doctor’s advice was simple: don’t google it. The serious condition that had left Alex Kiwomya struggling to walk and unsteady on his feet had just been diagnosed – casting serious doubt on whether the young striker would ever play professionally again. 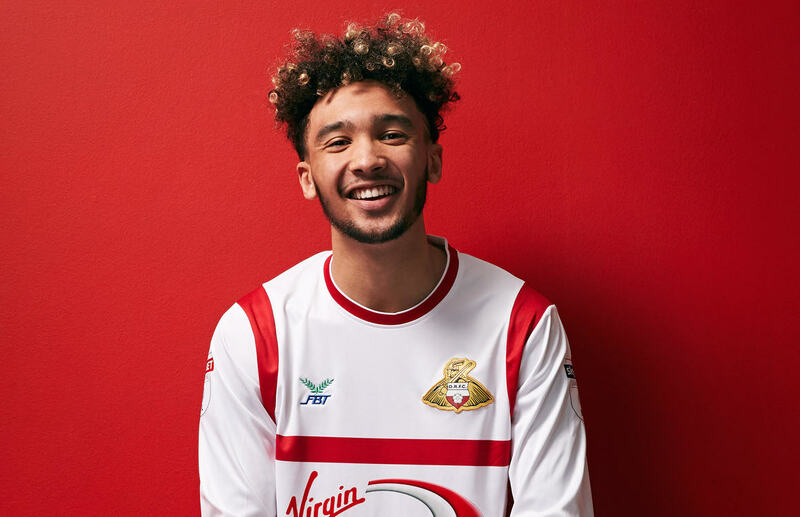 The 21-year-old had broken down on day one of pre-season training at his new club, Doncaster Rovers, during a routine running drill. Now, hours later, he was in hospital facing up to the prospect that his fledgling career was already at an end. A sledgehammer to the heart for a young man who had only ever dreamed of forging his way in the game, just as dad Andy and uncle Chris had done before him. Alex’s dad had enjoyed a solid career, turning out for the likes of Bradford City and Sheffield Wednesday, while uncle Chris was an habitual scorer of goals for Ipswich Town, Arsenal and Queen’s Park Rangers. Born into a footballing family and blessed with a sprinter’s pace, Alex knew from the moment he could kick a ball what he wanted to do with his life – a dream that edged closer to reality when Chelsea recognised his talent and swooped to secure his signature. Alex progressed through the age groups in West London, quickly earning a reputation as a young man who knew how to find the back of the net. But, as even Mo Salah and Kevin de Bruyne have discovered, winning and securing a place in the first team is an achievement rarely managed at Stamford Bridge. Instead, after a handful of loan spells, a new beginning in League One under the guidance of Darren Ferguson took the boy from Sheffield north again - attracted, refreshingly, by the prospect of regular competitive football amid the blood and thunder of English football’s third tier. ‘It’ was the diagnosis of Guillain-Barre syndrome, a rapid onset muscle weakness that can lead to abnormalities in heart rate and blood pressure. The condition is rare - affecting just one or two cases per 100,000 people every year, usually those in their later years. While most sufferers recover, that recovery can take months or even years. With less than 50 professional appearances under his belt, Alex was facing the prospect of ending a career before it had begun. When the diagnosis came, he struggled to comprehend his affliction or what it meant for his future. “The doctor said ‘if I were you, I wouldn’t google it because you’re going to see the severe cases’. The doctor wanted me to go into the hospital that day but it was too late for them to do any treatment that night so I went home, spent time with my family and then went the next day.After finding out what it was, I took a step back and thought, ‘well, maybe I won’t play again’.